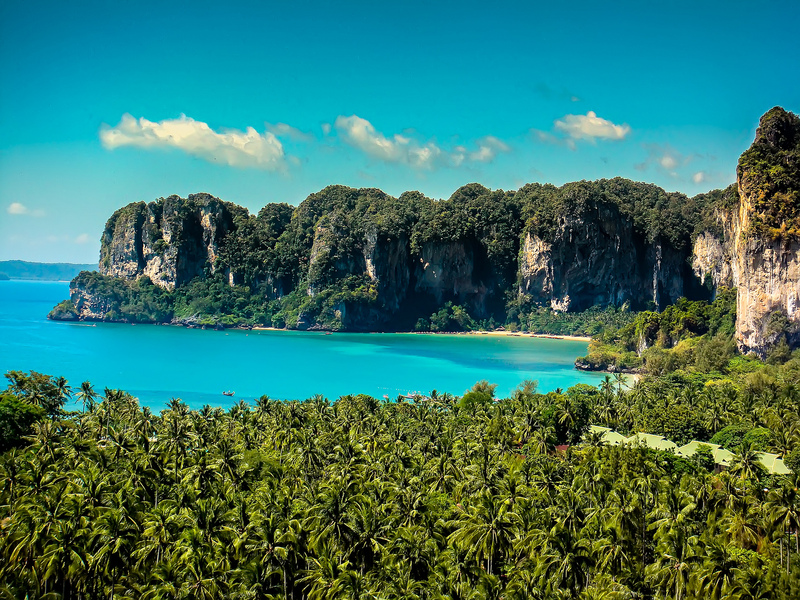 Located in Thailand’s Strait of Malaga, Ao Phang Nga National Park is an area of dramatic limestone cliffs, shallow marine waters and intertidal wetlands, renowned for their beauty and biodiversity. The national park expands over 154 square miles and is protected as a Ramsar Site of international ecological significance. 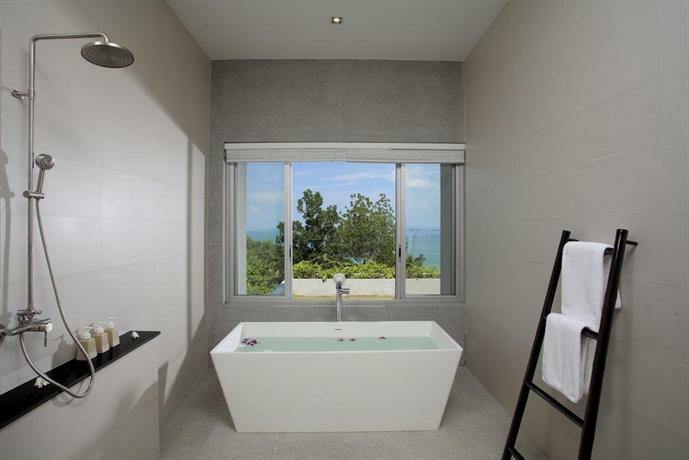 The area includes 42 islands, as well as the surrounding waters and wetlands which are home to mangroves, seagrass beds, and coral reefs, integral components of a healthy wetland system. 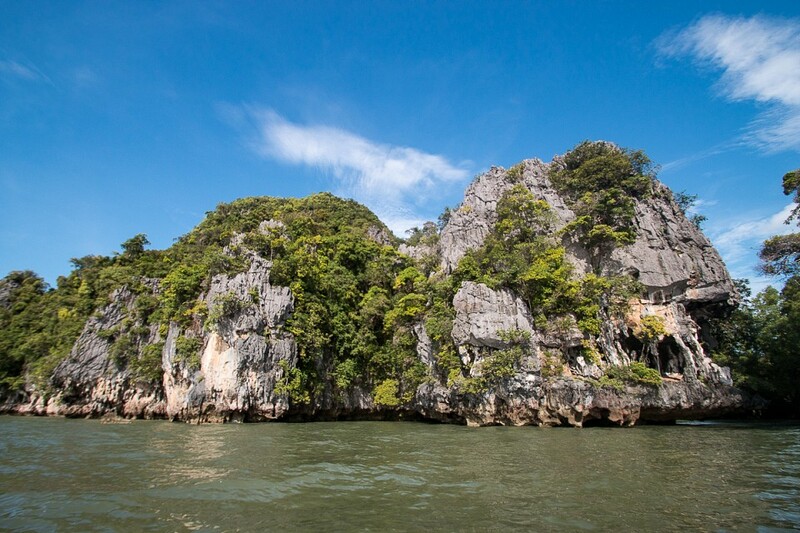 The limestone cliff formations, embedded with cave systems, for which the area is famed is the result of the accumulation of calcium carbonate and marine organisms over millions of years. Eventually the weight and pressure which has built up over time turned these layers into stone. Over time, geological forces fractured the limestone beds, the pressure forcing them up into the bulbous islands found today. Their coloration is due to exposure to mineral oxides which streak the cliffs in unique patterns. 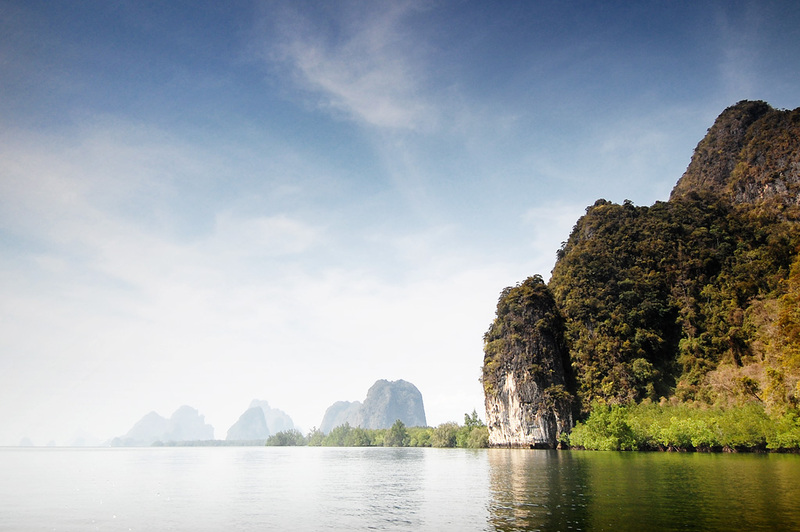 Ao Phang Nga is particularly noted for its bird life, with around 90 species found either residing or migrating through the national park. This includes a number of threatened species, including the Malaysian Plover and Asiatic Dowitcher. 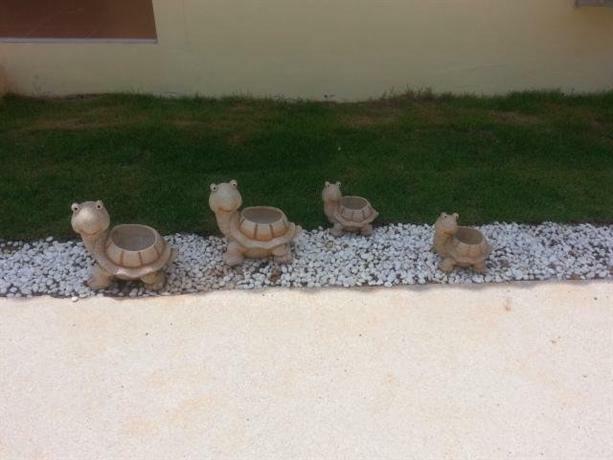 In addition to its bird life, the islands are home to 18 reptiles and 3 amphibians, while the waters support more than 80 fish species and aquatic mammals, including the Dugong and Black Finless Porpoise. 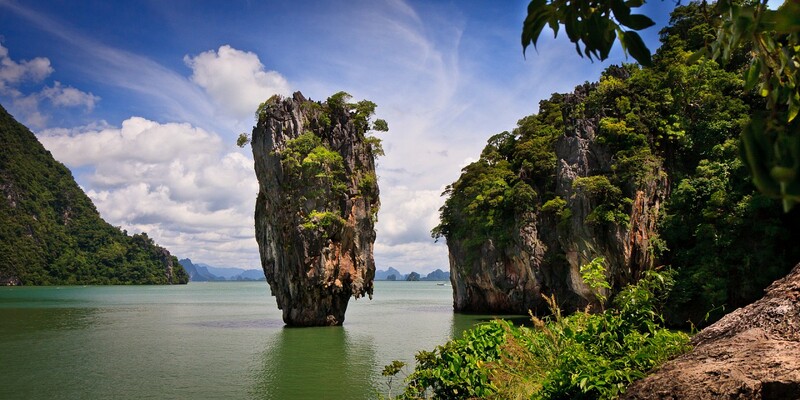 While the park has plenty of stunning limestone islands to explore, the most famous by far is James Bond Island, featured in the Bond movie ‘The Man with the Golden Gun’. It is known locally as ‘Koh Tapu’ (‘Nail Island’ in Thai), a reference to its sheer cliffs which protrude skywards from the water. 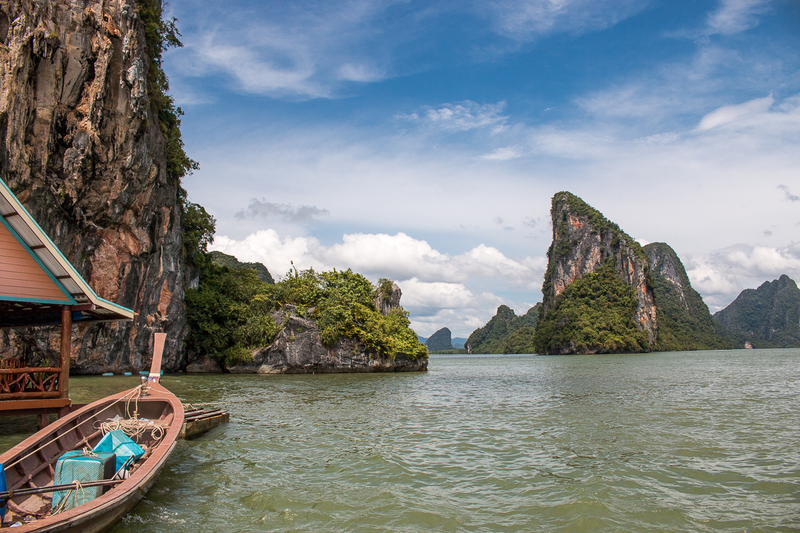 It is a beautiful and dramatic landscape with crystal clear water to swim in, but as this is Ao Phang Nga’s most popular day trip, it can get incredibly busy with not only tourists, but also hawkers and vendors, particularly during the high season. If you want to escape the crowds, opt instead to visit neighboring Koh Ping Ghan island which is still impressive, although not as well known. 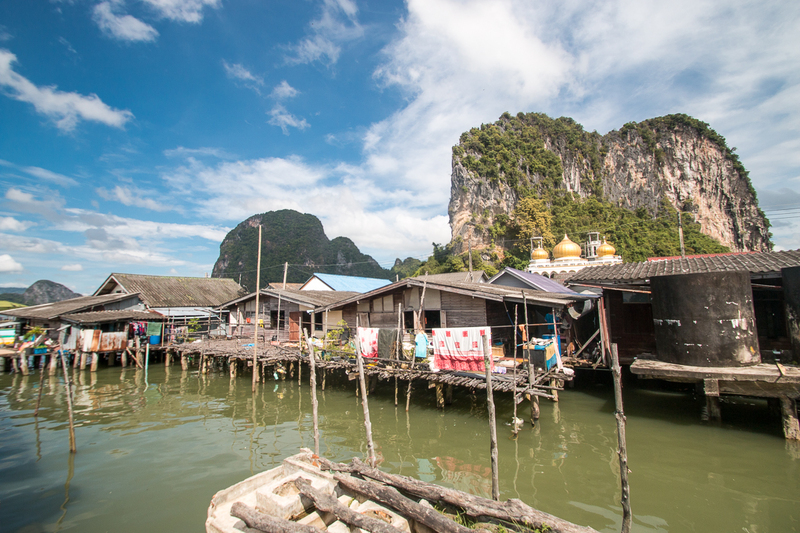 Also on the itinerary of many day tours is a stop in Ko Panyi , a village which has been built entirely over the water on stilts (except for its mosque and cemetery). At the rear of the village stands a large, prominent rock, and from the waters at the front, fishermen depart to ply a living on the ocean’s resources. The community is mostly of Muslim Malay descent and the village is an interesting place to explore, with plenty of restaurants to lunch at and handicraft shops to peruse. 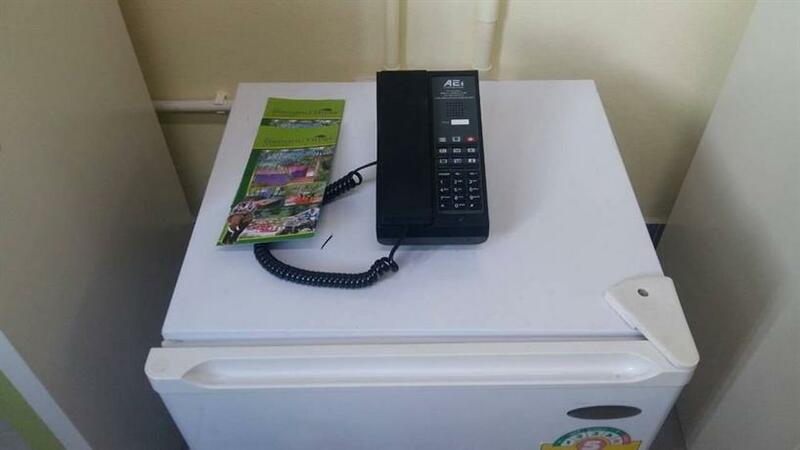 There is also accommodation available and staying overnight is a great opportunity to experience this community’s unique lifestyle after all the day-trippers have gone home. 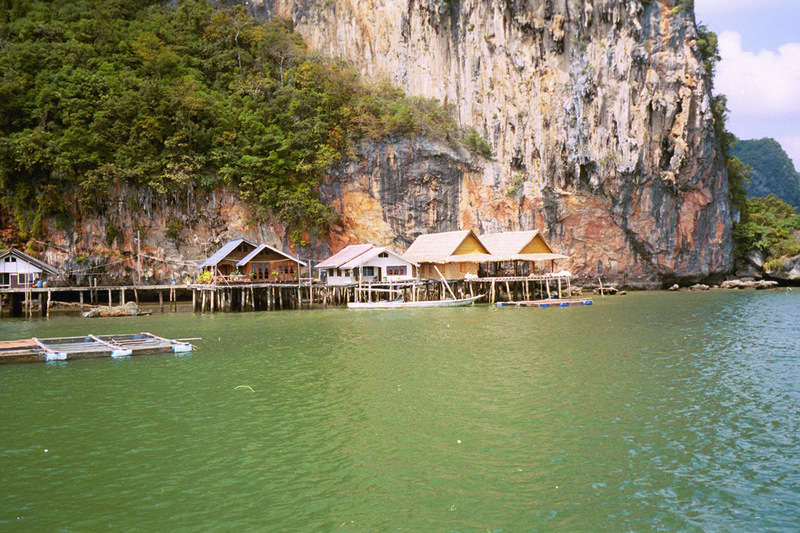 For those after a less touristic experience, Koh Maak is another traditional fishing community near the top of the bay worth visiting. 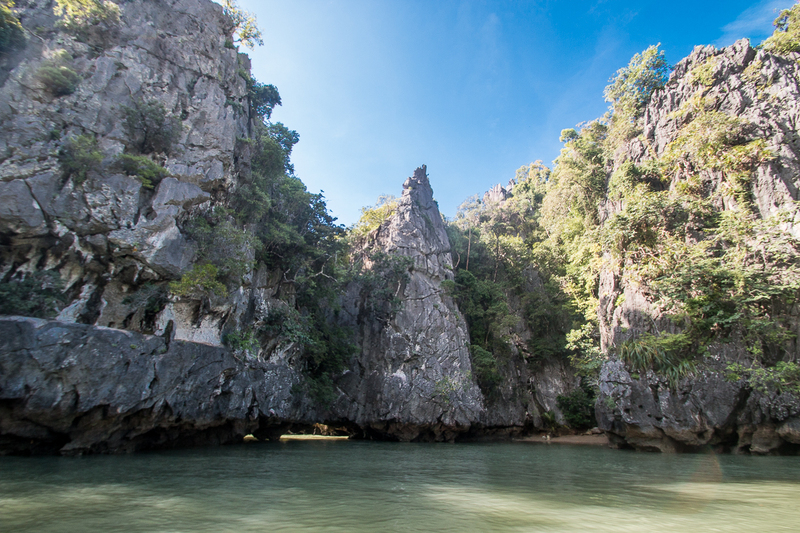 While it lacks the crowds of Koh Panyi, it doesn’t not have so much tourist infrastructure, such as restaurants and hotels. Koh Payni is also known for is rock paintings of boats and animals, some of which have been dated to more than 1,000 years old, which adorn the limestone walls, while Koh Panak or Koh Hong are great places to explore Ao Phang Nga’s Hong. 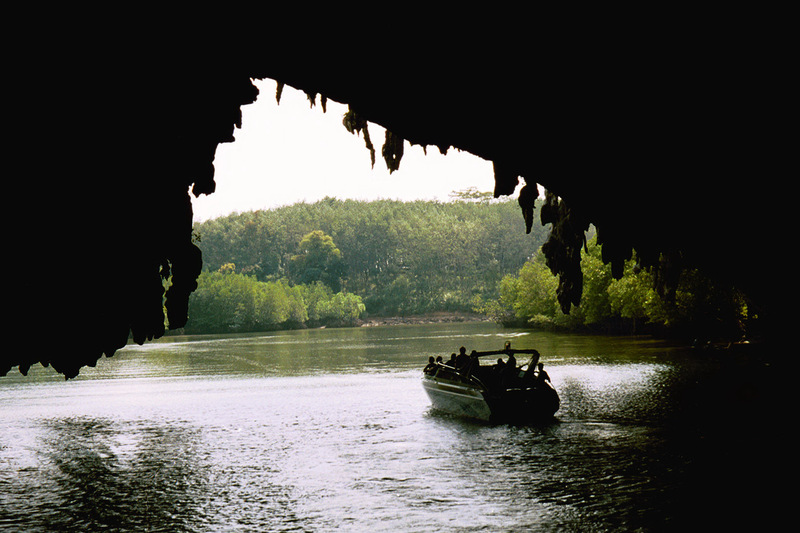 Translating as ‘rooms’, these are collapsed cave systems, surrounded by limestone walls and open to the sky and sunlight, which support a rich diversity of flora and fauna. These special ecological niches are relatively newly discovered and paddling through them on a sea-kayak is the best way to explore them close-up. 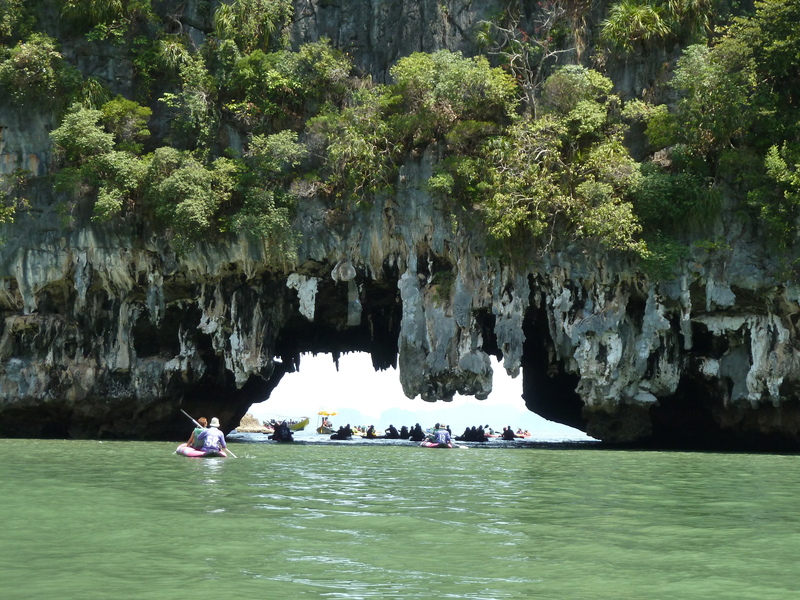 Renting a sea-kayak or taking a kayaking tour is a great way to explore some of the less visited and more remote islands of Ao Phang Nga National Park. At a much slower pace than the speedboats, a sea-kayak allows you to take in the park’s astounding beauty and interact with the traditional people. Under your own steam you can explore the popular sites outside of peak tourist hours and overnight camping options allow you to spend the night on deserted beaches. 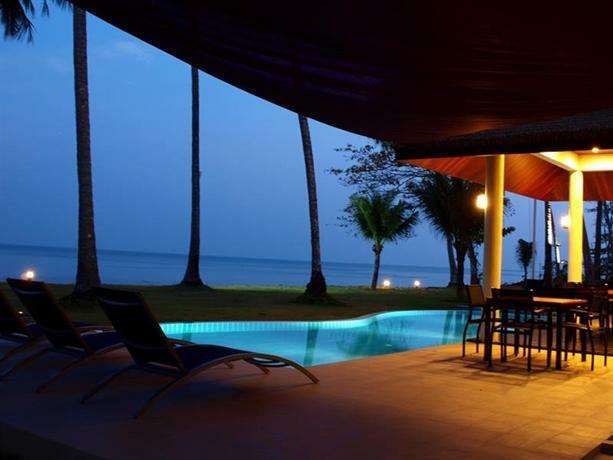 Other than Koh Payni, there are plenty of hotel options between Krabi, Phuket, and Phang Nga Province within a short distance of Ao Phang Nga National Park’s main sights. Depending on your budget and preferences, there is everything from luxury resorts, to basic beach huts to dive accommodation which can facilitate both snorkeling and diving activities within the park. 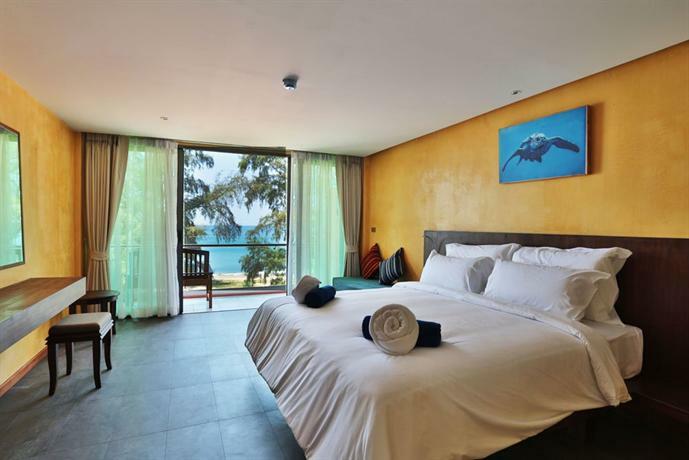 Both Ko Racha and Ko Bon are known for their dive operations, whilst Ko Mai Thon and Ko Yao have upmarket luxury resorts. 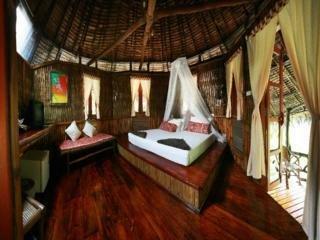 If you are on a budget, head to Ko Have or Ko Lon where beach huts with rock-bottom prices await.